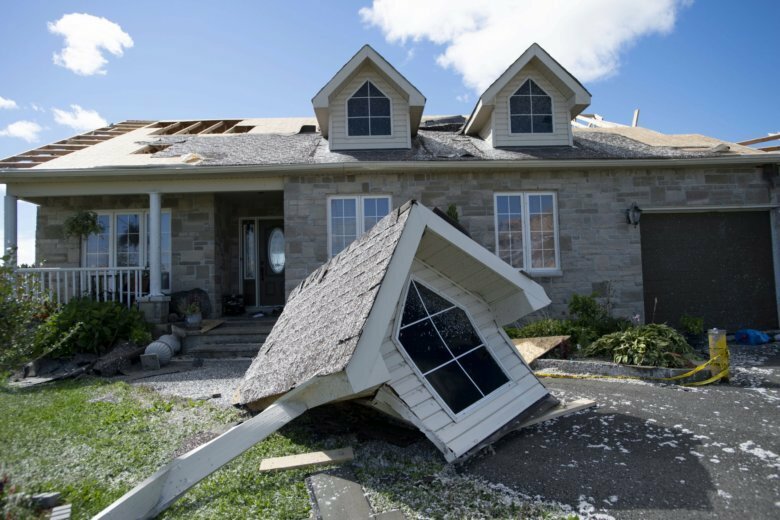 More than 150,000 customers were still without power following the tornado, which churned through pockets of Ottawa’s west and south ends, as well as densely populated sections of the neighboring Quebec city of Gatineau late Friday. Authorities said dozens of people suffered injuries, however there were no reports of fatalities. The Ottawa Hospital tweeted that two people were in critical condition, one was in serious condition and two others were stable. Officials set up shelters for those who couldn’t return home and they said crisis counselling would be available. Much of Dunrobin, a semi-rural community about 22 miles (35 kilometers) west of downtown Ottawa, remained cordoned off by police. Personal items were strewn everywhere — a baby blanket, a life jacket, mattresses, lawn mowers, a fridge, a kitchen sink lying on the grass and even a love seat wrapped around a telephone pole. Meteorologist Simon Legault said there was evidence of powerful winds between 112-137 miles per hour (180-220 kilometers per hour).